Sometimes, unfortunately, translations aren’t quite perfect. 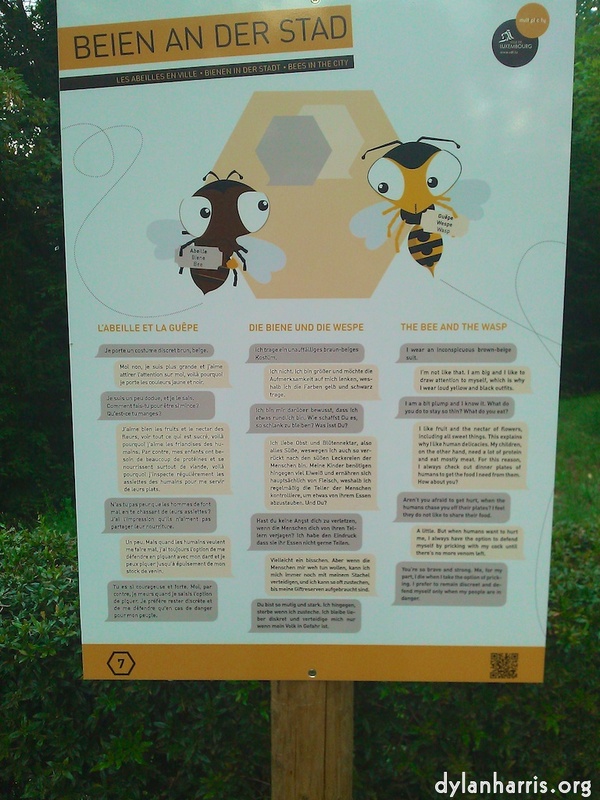 Luxembourg Town has launched a campaign to inform people about bees, called “Bees in the City”. I think it’s a good idea. Unfortunately, when explaining the difference between bees and wasps, and why they sting … well ….